The Stilwell Grade School was built in 1910 following a fire that destroyed the Aubry Rural School. 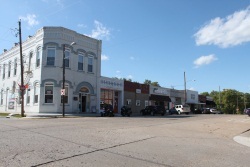 The Aubry and Stilwell areas were growing rapidly in the early twentieth century and area school districts struggled to keep up with the growth. Prior to the destructive fire, Aubry Rural School received an addition to accommodate more students. The new Stilwell school was much bigger than its predecessors and served grades one through 12 until a new high school was constructed across the street in 1920. Stilwell Grade School was built by L. A. Medaris and is an example of a town graded school, which was designed for graded instruction. 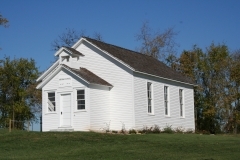 Graded schools emerged in towns across Kansas after 1900, and they were often built as one- and two-story brick buildings exhibiting common architectural styles of the period. This type of school building was one of the most flexible in terms of student population and could serve grades one through six or eight, while some even served all grades. 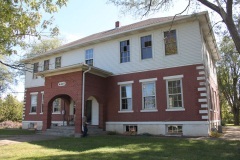 The Neoclassical style is subtly exhibited on the Stilwell Grade School and is found primarily in the decorative quoining at the corners, raised brick ornamentation, and symmetrical elevations. It is nominated for its architecture and educational history. Sunflower Village is a World War II-era housing development erected by the U.S. government to address a critical housing shortage near DeSoto due to the influx of workers to the Sunflower Ordinance Works facility. 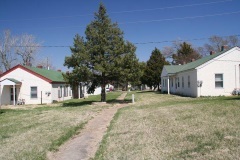 This self-contained residential community complete with commercial, educational, social, and recreational facilities was a sort of federal company town. Designed by landscape architects Hare and Hare, the community is organized around a series of roads that form a hierarchy of circulation paths, separating pedestrian and vehicular traffic in the village. The layout combines curvilinear roads with a traditional grid creating multiple neighborhood clusters. The dwelling units themselves were designed by the Kansas City-based architecture firm Marshall and Brown and are distinguished by their uniformity, simplicity, and utilitarian design. The significant factors reflected by the individual buildings is the speed in which they were constructed, the influence of war-time materials rationing on their design and construction, and that the project was designed to be temporary. At the time of nomination, 157 of the 175 of the original residential buildings remain. It was nominated for its local significance in the areas of community planning and development, military, and government. 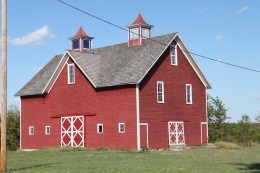 The Westwood Hills Historic District comprises the entire city of Westwood Hills in Johnson County, Kansas. 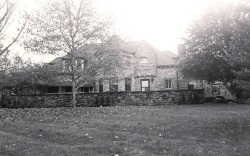 The J. C. Nichols Company platted the Westwood Hills subdivision in 1923 and established the Westwood Hills Homes Association in 1926. Twenty years later, residents successfully petitioned the Board of County Commissioners to be recognized as an independent city. The City of Westwood Hills officially incorporated on July 1, 1949. 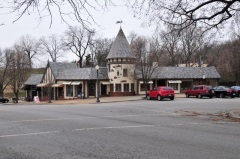 The district is an excellent, intact example of the residential design concepts that prominent local developer J. C. Nichols employed in his many successful subdivisions in both Missouri and Kansas. Westwood Hills was the first subdivision Nichols developed in Kansas using these concepts. The district retains excellent examples of architect-designed dwellings that express the variety of formal and vernacular styles popular in the area during the period of significance. 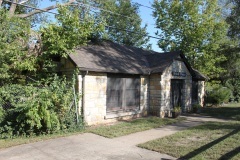 It also encompasses an entire municipality that was involved in the mid-century trend of incorporating as a city in order to retain its own identity as Johnson County developed. The 255 resources reflect the development history of the neighborhood as it evolved from pastureland to a residential subdivision to its own self-contained city. It was nominated for its local significance in the areas of community planning and architecture. The John J. Wolcott House was built in 1928 from plans prepared by architect Selby Kurfiss. The house sits on a 2.1-acre site overlooking the winding streets of J.C. Nichols' Mission Hills development. Wolcott was a well-known Kansas City grain dealer and served many years as president of the Kansas City Board of Trade. 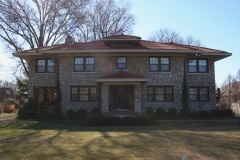 The large limestone house is a unique combination of Tudor Revival and French Eclectic design by one of the Kansas City area's most prominent early 20th century architects. It was nominated for its local significance in the area of architecture.